Mobile devices such as smartphones, iPads and tablet computers are rapidly proliferating in society and changing the way information is organised, received and disseminated. Consequently the library world must adopt mobile services which maximise and adapt to these significant technological changes. What do library users want from mobile services? How can libraries adopt new, innovative mobile initiatives? How can libraries use their advantage of being technological intelligence centres to forge and create attractive new mobile services that meet the needs of users effectively, since many such users are now armed with smartphones when commencing their academic experience? These questions are all addressed in the following article which investigates users' desires in respect of mobile services at Leeds University Library. Users' needs in a mobile library service at Leeds University Library were assessed through a combination of both qualitative and quantitative methods and analysis in the form of focus groups and online questionnaires. 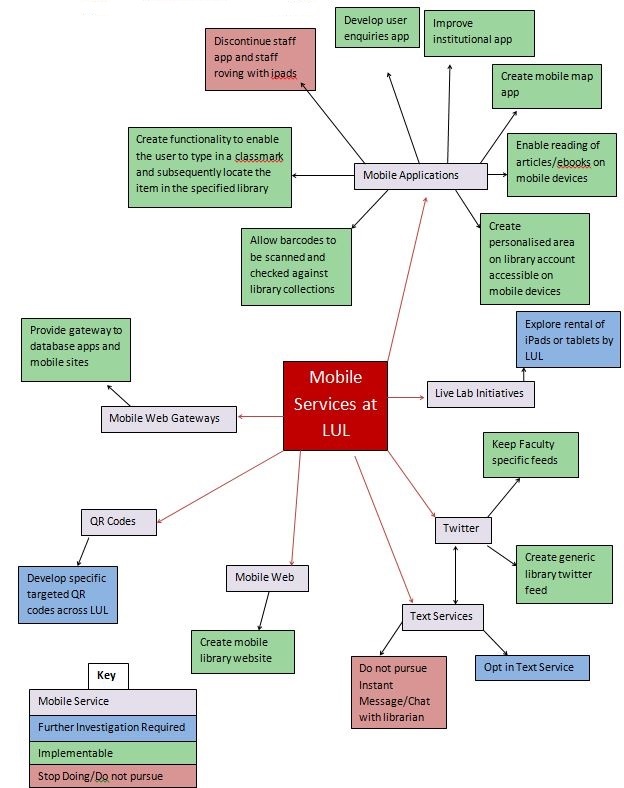 As a result of this analysis, a mobile services toolkit was created for the University of Leeds. It is potentially transferable, if adapted, to other library contexts. Results revealed the potential of libraries to support users’ seamless and rapid retrieval of information by mobile means. Libraries are facing a considerable and never-ending challenge: how to keep pace with the rapidly changing technological landscape and ensure the services they provide tap into the new technologies which are infiltrating society. Statistics from 2013 indicate that, 51% of UK adults now own a smartphone and ownership of tablet devices also increased significantly in 2013; tablet ownership more than doubled in the past year, and half of owners say they now could not live without their tablet . Libraries are innovating to try to meet the evolving technological challenge they face. Innovations in mobile services include mobile apps to administer library records, text message services reminding users of book return dates, instant chat services and live lab initiatives involving the rental of mobile devices to users. There is no doubt that the potential range of mobile services a library could offer its users is considerable. Is it possible for libraries, so often weighed down by heavily bureaucratic structures, to create and deliver cutting-edge and quench the users’ thirst for efficient new mobile services? The purpose of this case study was to evaluate mobile services in academic libraries, specifically focusing on Leeds University Library, one of the 10 largest university libraries in the UK. The study directly investigates user need, and subsequently constructs mechanisms which can be implemented by librarians, allowing them to act as enablers to develop and enhance mobile service provision accordingly. Data from two online questionnaires is complemented by more qualitative data from focus groups with library users at Leeds to establish trends, patterns and themes which inform the direction suggested for developing a future mobile service at Leeds University Library which will allow it to develop its library services in a dynamic and future-proof manner. The proliferation of mobile technologies in society is creating a cultural paradigm shift in the way information is disseminated and knowledge is consumed. There are over 5.9 billion global mobile subscribers . Research into estimates suggest that over 1 billion smartphones will be sold in 2014  and there will be an estimated 10 billion mobile Internet devices by 2016 . This trend is filtering into universities and in April 2013, Leeds University reported a 300% increase in unique users of wireless devices since 2009 . The implications of these changes are wide-ranging and multi-faceted, as this research explores. Within the Higher Education setting, it has been found in research that students in 2013 want to use their technological devices to access information quickly and efficiently; as Connaway states ‘convenience is king’ and users want instant access to resources 24/7 . Small-scale research projects by Forsans , Davies  and Morris  at the University of Leeds have identified the benefits of mobile learning for students. These studies are corroborated by a thorough and insightful conference presentation at UKSG Conference 2013 by Harding (2013) , a medical student at the University of Warwick, advocating the ‘paperless student’ of the future which Harding felt academic libraries should facilitate. Though Harding  failed to understand how large institutions such as universities often have to adopt new innovations slowly (often due to bureaucracy), Harding’s  insights act as a wake-up call to libraries to adapt mobile services quickly in order to meet users' expectations. At the University of Leeds, capacity in lecture theatres has been enhanced to support up to 240 wireless devices per lecture theatre, and steps are being taken to ensure better wireless provision in other teaching spaces across campus . As this trend continues, the Library must keep pace. There is a clear need for library services to adapt quickly and flexibly to mobile culture . Smartphones are valuable tools that enable library users to tap into library services, as advocated by Starkweather and Stowers , Little  and Jensen . Moreover, initiatives such as Text-a-Librarian have proven an effective means of meeting users' needs quickly. However, the viability of such a service could depend on financial factors, such as whether users would have to pay for it. Lombardo et al. have conducted robust research into the advantageous use of QR codes for communicating key messages to library users while Cummings  has created successful QR code treasure hunts for users. Additionally, as the technology develops, other augmented realities (AR) have been trialled for libraries  while technologies such as Microsoft Kinect, Google Glasses, and Raspberry Pi are making AR a more realisable option . Several pro-active, innovative trials have been conducted to meet users' demands for mobile services in libraries, Saults  for example, conducted research into the successful trial of lending kindles to users at the National University of Ireland, Maynooth (NUIM) and similar research projects were undertaken at Sheffield and Manchester . In addition to providing a service for lending devices, a small but significant body of research has been conducted into staff use of mobile devices when roving. This has unveiled a valuable insight into the possible staff uses of devices to engage users . Though the concept of staff roving was seen as innovative by the authors of the research, no research was done into any negative outputs of staff roving, such as users becoming more daunted by having to approach a roving staff member carrying a mobile device if they were unsure of its purpose. This research delves into this area further, exploring whether the use of mobile tablets by roving staff is a productive use of the resource. Much research has been conducted into the success of applications for mobile devices made to enhance or streamline the user’s library experience . Libraries are joining business in cashing into this method of engaging customers and apps have been developed at university libraries across the UK. This can be seen in practice by ‘map apps’ used at University of Warwick Library and others . ‘Map apps’ are intuitive and seemingly popular mobile apps which provide an interactive map of the library providing the location of key services and holdings. many apps work effectively with single sites, but not between search engine results or desired articles. There has been recent research into cutting-edge technologies such as Location Based Services (LBS) and Near Field Communication (NFC) enabling a mobile device to register close proximity locations . Currently GPS technology suffers from limitations on its reliability when working in micro-scale navigation . However, creative solutions such as wi-fi fingerprinting as advocated in some recent research  suggest the potential of these technologies to fulfil the demand to locate users in relation to items within the library buildings. 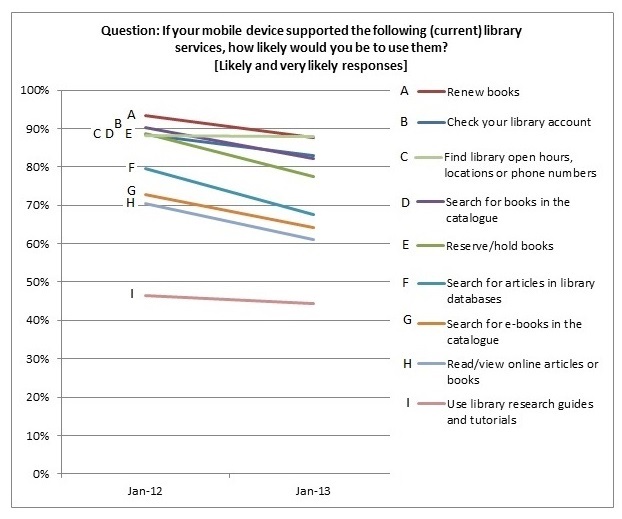 A review of the literature has therefore shown that mobile device use is rapidly increasing among library users, and initiatives are being explored to develop mobile service provision in many different areas. The second online questionnaire was open between 3 December 2013 and 12 January 2014, approximately a year after the first. It generated fewer responses, with a total of 604; however it reflected a similar demographic make-up, with 84% of responses from undergraduates (see Figure 1). The results from the two questionnaires were carefully compared, the questions asked being identical to those of the 2012 exercise to ensure consistency. They were based on the Likert scale format, requiring respondents to answer questions by ranking services by how likely they would be to use them. In the first online questionnaire, results showed the rapidity of smartphone proliferation with 86% of respondents currently owning a smartphone and nearly 80% having acquired one in the past two years. Only 5% responded that they neither owned a smartphone nor planned to do so in the next few years. Almost 60% of respondents did not own a desktop computer nor intended to, while in contrast, 97% of respondents owned a laptop computer. These findings were subsequently mirrored in the questionnaire conducted one year later (see Figure 2). Use of a Likert scale in this question was highly beneficial in allowing for analysis. The likelihood of respondents using current library services on mobile devices was high; 93% of respondents in 2012 stated that they would be likely, or very likely, to use a mobile ‘renew books’ service while 70% of respondents stated that they are likely, or very likely, to read online articles or books on a mobile device (see Figure 3). Responses for all of the possible services showed a steady level of demand following the 2013 questionnaire. Year on year, mobile use is increasing for a range of regular functional activities. The questionnaires found that it was increasing most for using a search engine (and searching generally) as well as sending email, conducting personal business and watching videos. Use was lowest for doing research for coursework and for reading ebooks. This principle should form a core element of theoretical development about the library user; their need being for fast, relevant information delivered to their mobile devices as advocated by Harding  and research by and others . Responses rated ‘use library research guides or tutorials’ the least important of the offered services with 31% stating that they would not be likely to access these on a mobile device and a further 22% being unsure. This shows a lack of desire to access more complex information such as research guides on a mobile device. Emerging theory would therefore suggest that a mobile device’s capacity for allowing long-term reading functions may be limited. This would corroborate studies by others such as Forsans . 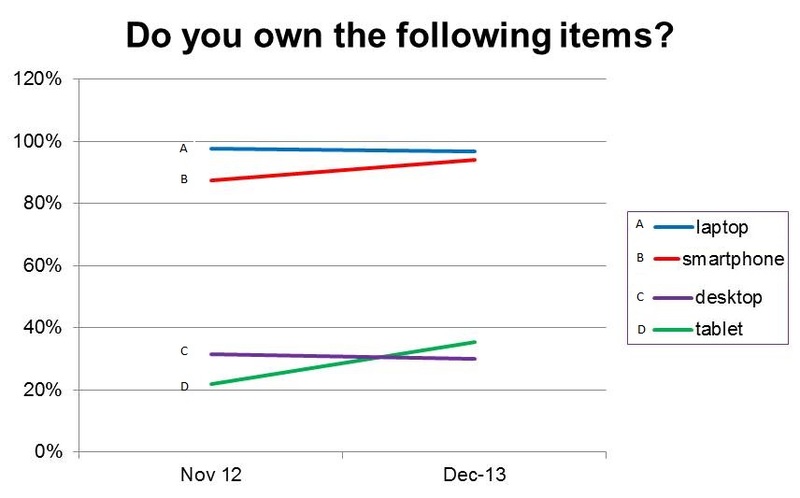 Overall, the second online questionnaire results from December 2013 – January 2014 demonstrated a clear correlation with the results collected a year previously, confirming the user’s priorities towards mobile services had not significantly changed. In line with grounded theory, preliminary open coding of the quantitative data from the questionnaires was followed by linking the categories created from the process of simultaneous data collection and analysis to sub-categories. As Pickard  highlights, at this stage it is important to identify the conditions that give rise to a particular phenomenon and the context in which it occurs. Axial coding from the questionnaire therefore identified certain theoretical concepts. Codification from the data surrounding device ownership found that users will be increasingly armed with their own mobile devices when they enter the library or use the library’s services, and mobile services must be developed to meet this need. The focus groups were to build on this foundation to investigate further exactly what users’ needs are. Data about library services also suggested that respondents showed a preference for information to their mobile devices to be delivered quickly and efficiently, for example, library opening hours. Exactly how this principle can be best incorporated in library services was an element for further investigation in the focus groups. Finally, axial coding suggested that users would like to gain access to mobile tools such as apps and text services in order to find what they need, as Connaway states ‘convenience is king’ and users want instant access to resources 24/7 . The librarian can be seen as a potential barrier in this process, for instance when used as a ‘middleman’ answering online enquiries through an Instant Messaging (IM) service. Users want specific information relating to their needs sent directly to their mobile devices. In this way, the concept of the ‘intermediary’ from Wilson’s behaviour models  should be carefully interpreted and tailored in the mobile services context to the user’s needs. The role of the intermediary could be more beneficial if it is a tool rather than a librarian, virtual or physical. These emerging theory concepts provided solid recommendations for the formation and execution of the next research technique, namely qualitative focus groups, which aimed to delve deeper into specific user preferences. The focus groups (FGs) involved a thorough evaluation of the University’s institutional app in which many participants who had not used it stated they would in the future; illustrating the app provides a useful mobile service to users and should be maintained and developed. The UniLeeds app is personalised to the student or academic. It offers users the chance to check their timetable, computer cluster information, staff information and find out a large amount of information about the library. For example, users can check their library record using the app, they can renew items and reserve them, search the library catalogue, pay fines, check opening hours and their reading lists. Though the mobile app offers a comprehensive coverage of library related information, we decided to explore what other elements the user might want from the app by exploring some suggested improvements. 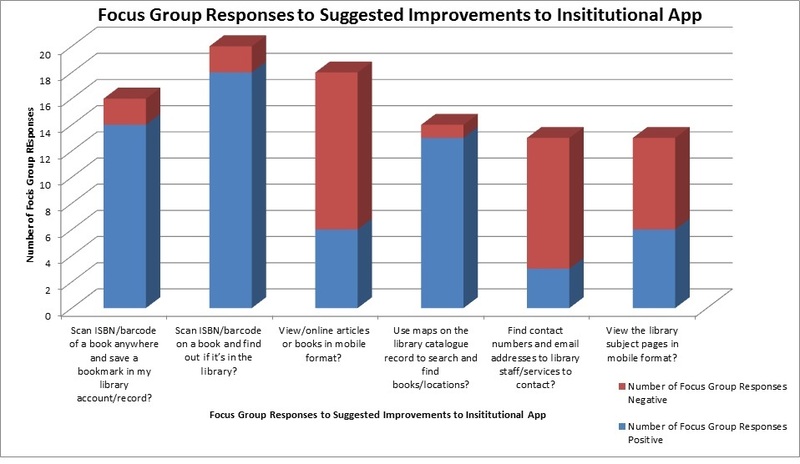 Figure 4 shows a breakdown of suggested improvements for the institutional app from the FG participants. The main services advocated were scanning the ISBN/barcode of a book to find out if it is present in the library and the use of maps on the library catalogue record to search and find books or locations. Least popular was the option to read articles or books in mobile format, corroborating the arguments that users do not necessarily want to read large amounts of information on mobile devices, but would rather use them to access and retrieve short snippets of useful information quickly. This trend developed when looking at other mobile services (below). The FG findings strongly supported the theory that the majority of users prefer services which provide quick access to information which will take a short amount of time to read on their mobile devices. When asked whether they would like the library to provide text services, many participants showed a clear preference for this information to be confined only to urgent messages such as notifications of impending (next-day) fines or of books ready for collection. There was some disagreement about how useful QR codes would be for accessing subject pages, asking librarians questions either through email or direct messaging via an instant messaging service, accessing twitter pages, databases or tutorials. The largest negative response in the exercise related to QR codes used to engage in direct chat with the librarian, with 14 participants stating they would not want this service. This could also be a reflection on how the users perceived the usefulness of the service; that is, a direct chat with a librarian, as much as the QR method to deliver it. Again, this fuels the theory that contacting a librarian via mobile means can be seen as a barrier to accessing relevant information; the intermediary in the user behaviour process  needing to be a mobile services tool rather than direct contact with a librarian. The focus groups provided a significant insight into the users' needs; and from the open coding and simultaneous data analysis and collection, as advocated by grounded theory, several themes emerged as displayed in Figure 5. These themes informed decision making about how best to focus the limited resources, including services upon which to focus and which to stop. Library users do not want barriers to finding the information they need. Roving, instant messaging services and QR codes (when not appropriately directed) have been found by the research to act as barriers to users. In the mobile services context the ‘intermediary’ in the user behaviour process, should not be as Wilson [ 52][ 53][ 54] advocates, a librarian, but rather, a mobile service tool which, unlike a physical intermediary, acts rather as an enabler. Figure 6 shows a proposed adaptation to Wilson’s concept of the intermediary in user behaviour, suggesting that while the librarian can act as a barrier in the role of intermediary, mobile services can act as an enabler in the same role. It is important to stress that this is not always the case, and often a librarian’s role is crucial in the retrieval of information resources. However, in the arena of mobile services, it is apparent that often mobile tools created and provided by the librarian are more beneficial to the user than direct engagement with the librarian. Mobile services should enable, rather than delay, quick instant access to information. Librarians can work most effectively by developing these mobile services to be as effective as possible by being context-specific and directly meeting users' needs. Libraries must develop flexible service models (such as a mobile services toolkit) which include a range of mobile service tools that can adapt to rapidly developing mobile technologies. As Figure 6 illustrates, the role of the intermediary in allowing the user access to information can be seen as a barrier in some cases. Librarians should be aware of this risk, and ensure that when developing mobile services, they are not unnecessarily putting themselves between the user and the information they want to access quickly and efficiently. In our fast-changing technological environment, it is clear that academic libraries have a great opportunity to become innovators in mobile service provision. As the context in England changes, with undergraduate tuition fees increasing to up to £9,000 per year (depending on the institution), there is increasing pressure on academic services, including the library, to innovate to meet greater user expectations, particularly in providing new cutting edge technological facilities such as mobile services. Such evolving contexts should be seen as opportunities rather than hindrances. Consequently, this research led to the creation of a library mobile services toolkit at the University of Leeds, to include the services seen in Figure 6, tailored to users’ needs, which will be adaptable enough to change with our fast-paced technological world. The nature of the research’s subject matter has presented a challenge in ensuring the contextual information used regarding mobile services is current and up to date. New mobile services are being constantly developed and consumed. Throughout the 11-month timespan of this research it was challenging but important to keep up with changes in mobile services and subsequent evolving research outputs in the area. The specific findings relating to Leeds University Library from this research will, like other research on mobile technologies, become outdated quickly. However, it is hoped that the research provides a useful insight which can be built upon in further investigations into this area. Furthermore, a vital conclusion reached is the importance of developing an adaptable service model which will change with new mobile technologies. Connaway, L. S. (2013). The new digital students or "I don't think I’ve ever picked up a book out of the library to do my research -all I have used is my computer". In UKSG Conference. Bournemouth, UK, 8-10 April 2013. Davies, N. (2012). School of Medicine Mobile Learning Programme: Ebooks. Gedye, R. (2013). Accessing Academic Content via Mobile Devices: Issues, Solutions, and Future Developments: What we learnt from our webinar. In UKSG Conference. Bournemouth, 8-10 April 2013. Noh, H., Oh, S., Hwang, K., & Cho, S. (2012). Exploiting indoor location and mobile information for context-awareness service. Information Processing & Management, 48(1), 1–12. Etxeberria, A. (2012). Mobile devices: a tool for tourism and learning at archaeological sites. International Journal of Web Based Communities, 8(1), 57–72. Kelley, K., Kaugars, K., & Garrison, S. (2011). An Android/LAMP Mobile In/Out Board Based on Wi-Fi Fingerprinting. Code4Lib Journal, (15), 2011. Pickard, A. (2007). Research Methods in Information. London: Facet Publishing. Kuklinski, P. H., & Brandt, J. (2010). Campus Movil: Designing a Mobile Web 2.0 Startup for Higher Education Uses. In J. Breslin, JG and Burg, TN and Kim, HG and Raftery, T and Schmidt (Ed. ), Recent Trends and Developments in Social Software (Vol. 6045, pp. 143–151). Berlin, Germany: Springer-Verlag Berlin. Mantell, A. (2012). Infotrieve: Giving Clients What They Want. Information Today, 29(4), 12–12. Kroski, E., & Kim, B. (2012). Patrons now expect more mobile library services. Library Journal, 137(15), 15–16.